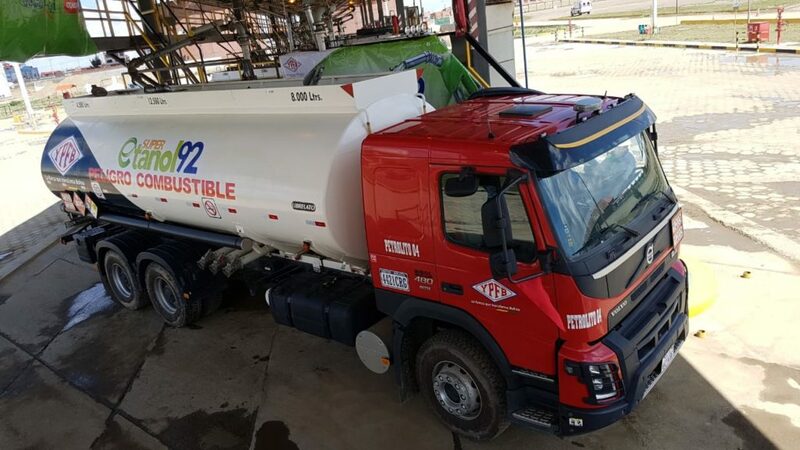 Yacimientos Petrolíferos Fiscales Bolivianos (YPFB) is carrying out a series of tests to replace short-term consumption of diesel by LNG in the country’s heavy transport and transit vehicles, whose demand will be covered by the LNG Plant located in Rio Grande, Santa Cruz, according to the CEO of YPFB, Óscar Barriga Arteaga. “For this, we are working jointly with the Ministry of Hydrocarbons and the conversion agency so that we can have public and heavy transport vehicles that can use natural gas in the form of LNG in the coming years. It is a very ambitious project for us, it will have a direct impact on the import and the economy of national transport,” said the executive of the state oil company. The policy of a widespread use of natural gas not only seeks to benefit the industrial, commercial and domestic sector, but also the country’s vehicle fleet that today surpasses the 350,000 units. “According to the projection, this segment will have a consumption that will exceed the 4.5 million cubic meters of consumption day in the domestic market by 2025,” added Barriga.